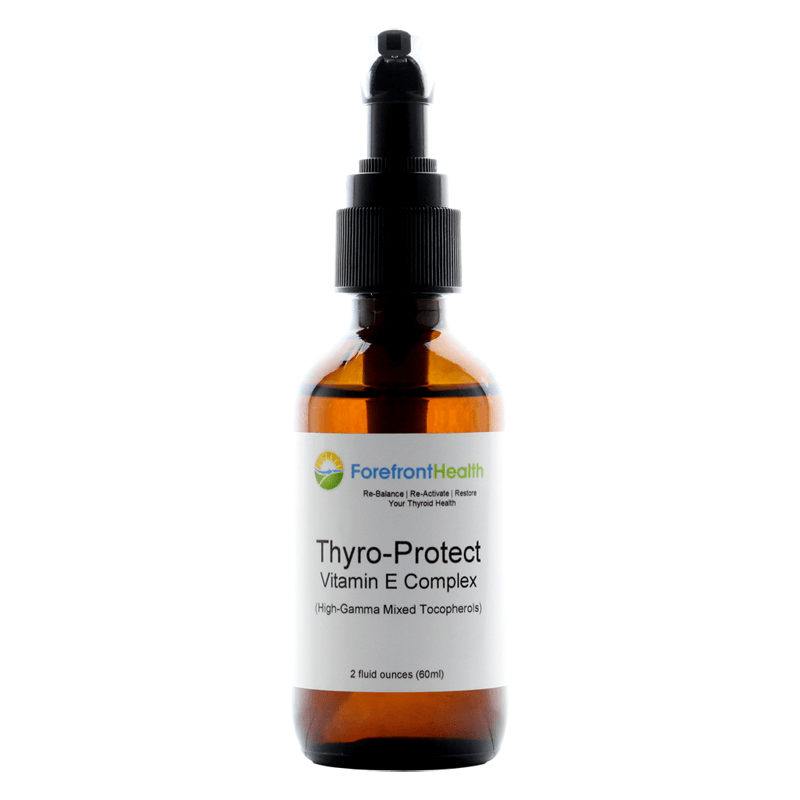 Our Thyro-Protect Vitamin E Complex contains a high concentration of the complete Vitamin E tocopherol complex — HIGH-Gamma, HIGH-Alpha, with Beta and Delta isomers. Our Vitamin E is all-natural, and completely void of fillers and additives. 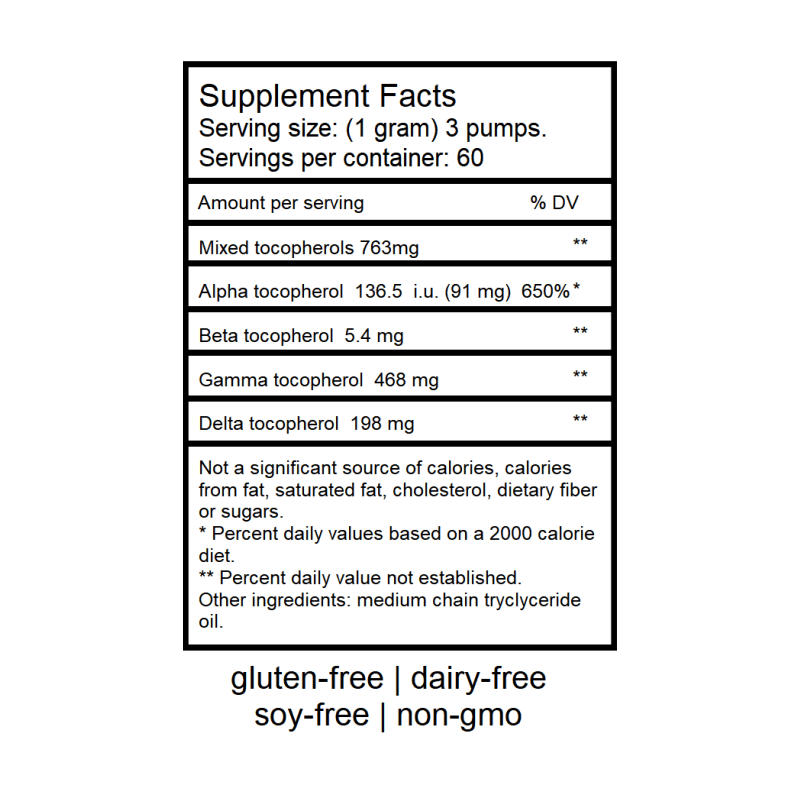 Most widely available Vitamin E supplements contain only the d-alpha tocopherol (far less effective), are dissolved in thyroid-suppressive oils, and contain potentially harmful excipients. Other Ingredients: Medium chain triglyceride oil. Contains 2 fl. oz. 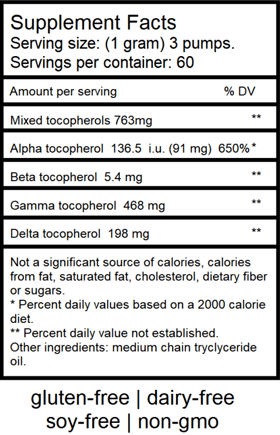 / 60 ml (60 daily doses) of pure, clean, high -gamma mix tocopherols Vitamin E oil. Suggested Use: 3 full pumps (1 gram) daily. We generally recommend the “oral application instructions” below. However, for those with digestive issues that can negatively affect absorption, or those who still find the taste too strong, it can be also used topically as per the “topical application instructions” below. Place Thyro-Protect Vitamin E Complex on tongue and follow with liquid. 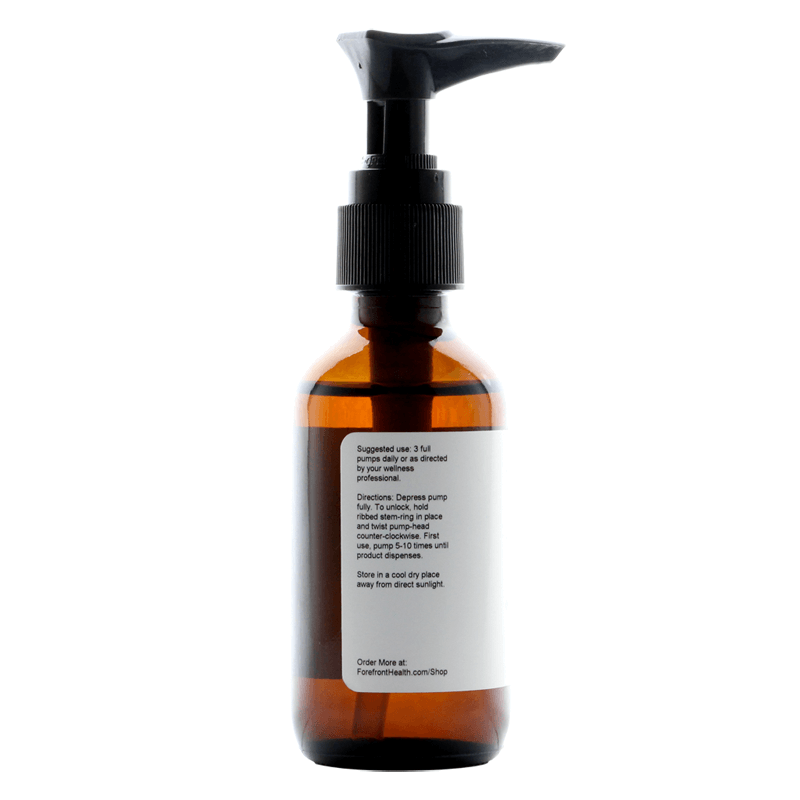 The Thyro-Protect Vitamin E Complex oil is very thick, which will require the addition of coconut oil or olive oil to help it spread and absorb. The pump will initially be filled with air. 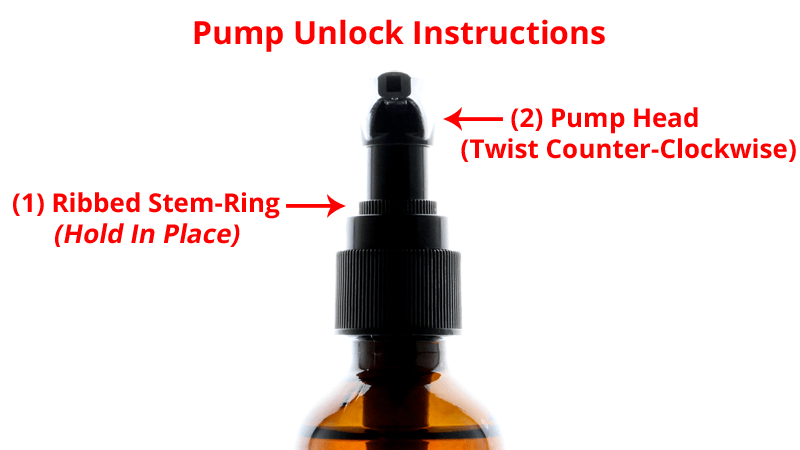 Pump 5 to 10 times until product dispenses. Hold ribbed stem-ring in place and twist pump-head counter-clockwise. 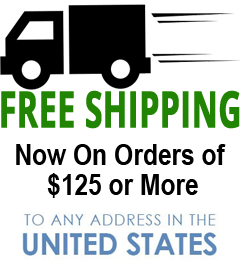 Product is quickly absorbed into the body. Topical application is messy. Better to take orally. Three pumps onto the tongue, easy to wash down with a hot drink. No taste or aftertaste.